Welcome to Capital Ford Lincoln! 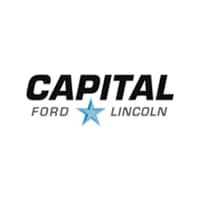 The team here at Capital Ford Lincoln has been operating in Regina for over 40 years, selling thousands of cars and providing service to hundreds of thousands of customers over those four decades. We like to think that our service improves every year, and the satisfaction of our customers speaks for itself. We’ve been named 2015, 2016, 2017, and 2018 Dealer of the Year for Ford and Lincoln in Saskatchewan by DealerRater.ca. We also received Consumer Satisfaction Awards in each of those years. And, we’re Canada’s #1 Pre-Owned Ford Store! We haven’t just been enhancing our service and impressive selection of Ford and Lincoln vehicles throughout that time. We’ve grown year on year. From our 10,000 square foot showroom to our 60,000 square foot service centre, you’ll find that every part of our facility is top-of-the-line. You’ll even be able to take a relaxing break in our customer lounge, or browse our showroom at your leisure, while our dedicated service team brings your vehicle back to prime condition. Our service to the communities of Regina and area goes beyond the front doors of our showroom. The Capital Cares initiative has allowed us to invest thousands of dollars back into those communities. Some of the charities and non-profit organizations we’ve supported include Big Brothers of Regina, Canadian Cancer Society, KidSport Saskatchewan, local schools, Salvation Army, and St. John Ambulance. We’re even Founding Partners of the New Mosaic Stadium! If you’d like to find out more about Capital Ford Lincoln or set up a test drive, just contact one of our team members today. We can’t wait to help!